Henry of Pelham Family Estate Winery was established with our first vintage in 1988. At that time, they were one of a very few estate wineries dedicated to producing premium quality wines made from 100% Ontario grown grapes. Their focus is on vinifera grape varieties. This family of grapes includes Chardonnay, Riesling, Cabernet Sauvignon and Pinot Noir to name a few. They have been cultivated in Europe for hundreds of years proving to produce wines of distinction. 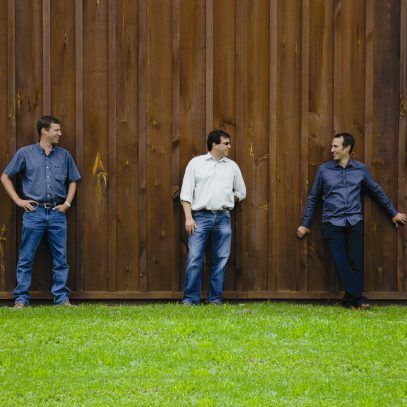 Paul and his brothers Matthew and Daniel planted the original vineyards and began the business development of Henry of Pelham Family Estate Winery with their father in 1984. In 1989, Paul became President of Henry of Pelham and set it on course to become one of the leading national growers and producers of fine wines from Niagara. Paul is a Founding Director of the Vintners Quality Alliance (VQA) and continues to play an active role in promoting and developing the premium wine industry in Canada as current Vice Chair of the VQA. He is also co-chair of the Wine Marketing Association. Achieving balance in their vineyard is key in driving desired flavours and structure for our Chardonnay. To achieve balance year after year, they adjust our viticulture program, optimizing what each season offers. This ultimately creates a unique and expressive wine, true to our vineyard site, celebrating each dynamic vintage.